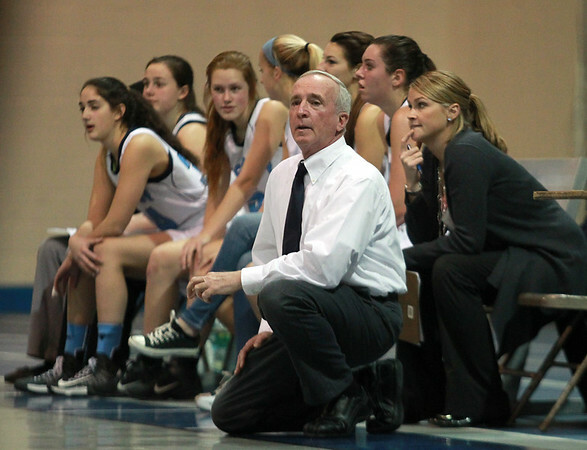 Peabody Head Coach Stan McKeen watches his team in the offensive zone against Lynn Classical on Friday evening. McKeen earned his second victory in two games as head of the Tanners after a 43-30 win over the Rams after taking over for longtime coach Jane Heil, who retired last year. DAVID LE/Staff photo. 12/19/14.